Othello, the bold, brash, confident solider, and Desdemona, the Senator’s daughter, are truly in love – but not everyone is happy about it. And that is where the problem begins and tolerance ends. 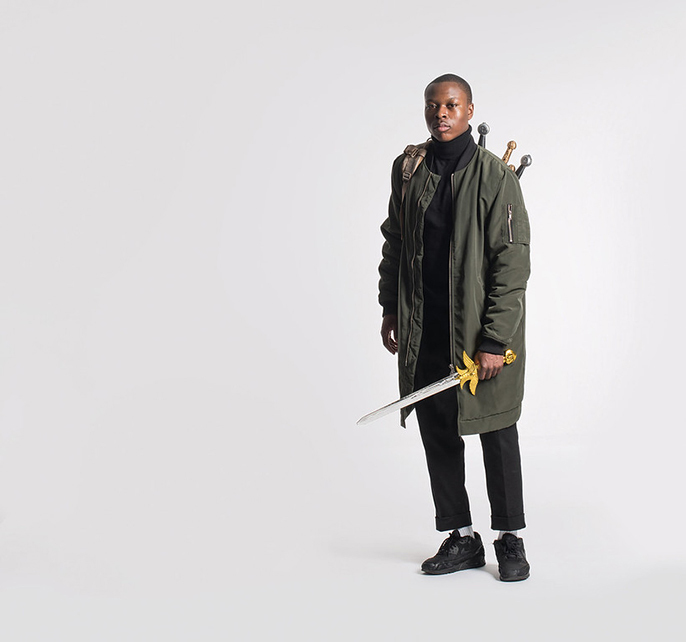 Ian Nicholson directs an all-black cast in this cleverly distilled production inspired by Shakespeare’s great tragedy that explores love, power and prejudice. This is a modern, fast-paced and funny play especially written for young audiences by Belgian playwright Ignace Cornelissen (Henry the Fifth, The Hunting Lodge). With a light touch, the play reflects on the nature of relationships, what ‘being a man’ really means, and how our flaws and feelings can blind us to the truth.